Butterfly Reiki Healing brings transformation and is a welcoming energy to work with. If the butterfly is your Power Animal, Totem Animal or if you feel attracted to it, this means you are ready to undergo some kind of transformation. 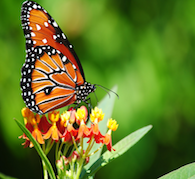 You may already have a totem animal/insect when you start working with this new butterfly energy and that is perfectly fine, you can work with both. Many people have more than one totem in their life at any given time. Your Power Animal/insect is the one that is in your life at the beginning and will be with you forever.One symbol is included in this system to help you work with the energy of Butterfly Reiki Healing. To work with these energies you should understand the basics of Reiki and how to use visualization to start the flow of Reiki Energy. It may be used along with other energy systems as well.